Here’s a perfect spring bargain for anyone with kids! 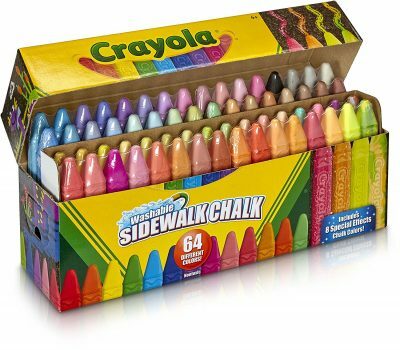 Right now, get the Crayola Sidewalk Chalk, Washable, Outdoor 64 Count for only $6.71. That’s a discount of 44%! All three of my children love chalk and they love coloring not just the sidewalk but rocks, trees and their swing set. It really does keep them busy for a long time! 64 assorted bold, bright colors. Great birthday gifts for kids!